1. Using a sharp knife, cut a slit in each date and stuff with blue cheese. 2. 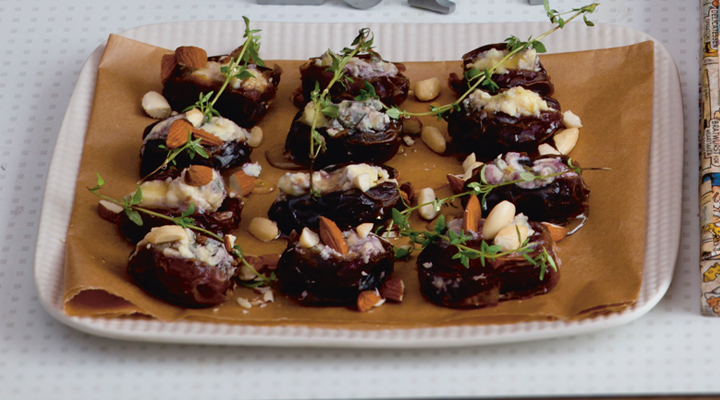 Arrange the stuffed dates on a serving platter and sprinkle the almonds on top. Drizzle with honey and garnish with thyme sprigs.